I do not like playing the what if-game, because it's not really what this draft is about, and am in favor of a hard limit for simplicities sake. But maybe we could lower the limit for coaches. I'm fine with the pick, but I totally understand if meow disagrees. I'd say they're 2 completely different circumstances. I don't want to sound like I'm pouting, but I don't agree with it. Well, any other feelings aside from your beef about Michalek? Other than him barely having 2/3rds the amount of games needed, none really. I guess I'd be pouting too if I were meow. He didn't get Z and he's also one of two GMs that already picked a HC under the assumption that Badger is ineligible. It's just awkward to start bending the rules more than halfway through the draft. Slippery slope. Next thing you know someone picks Michel Briere. Welp, got to catch a flight. Sorry for any delays. I guess we all agree that Johnson had a huge impact on the franchise, but that really is beside the point. If meow - or anyone else - wants to veto the pick I'm fine with that. And if he says it's ok to lower the limit for the coaches to 100 games I'm fine with that, too. Yea, what is everyone's final say in this? If anyone says no then I am fine with that. I have a person I will pick already on my mind. I just need it to be official. Then since I am on my phone, my pick is LW Craig Simpson to fill out my 3rd line. mikey, just curious, do you mean two best coaches as far as our limits go, or overall? Given the make-up of my team, [undrafted] may have been a better choice, but I've always liked EJ. I think he does a good job with whatever he has to work with. And again, as far as longevity goes, nobody is even close. As far as our limits go. EJ was a guy I certainly considered for longevity (as you said, it's not close). Would have been more inclined if he could have done something more with those teams that Bowman left him before it was too late. 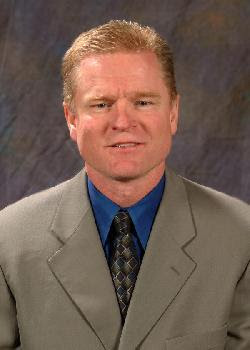 He's also more of an offensive guy (terrific with power plays I believe), which I didn't think matched my team as well. But he's right there in the running for #3 in my books. Yeah I'm gonna need more time. I was going to pick EJ, but obviously cannot and I left my personal CPU with my research in Baltimore. Apparently we are heading back tomorrow now due to some storms and I will have my picks then. Sorry for the delay. No worries, take your time, be safe. I just realized that EJ isn't that far ahead of DB in terms of wins anymore. DB has inhetited a pretty talented team, but 165 wins in barely 3 1/2 seasons is still impressive. Thanks mikey! Trip wasn't bad. Glad we got back today. My sister and her husband were heading back to Waldorf and said the PA turnpike was a mess. Career highs in goals, assists, and points with the Pens during 1986-1990. Ranks 12th in PPG all time for the Pens. Works in my top 6 if a forward would happen to get injured. With pick #121, I'm going to pick a coach that will go against the style of my players, but is the best coach left. During Constantine's 2nd season, Jagr put up career highs in points and assists. 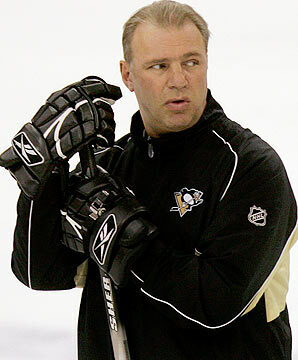 The Penguins also ranked 4th and 7th in goals for Constantine's 2 full coaching seasons. He also won a division title, but won only one of 3 playoff series. 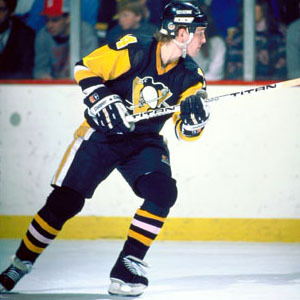 Dion spent parts of 4 season with the Pens, including a stellar 1981-82 season that saw him participate in the All-Star Game and nearly lead the Pens to a huge upset over the defending Champions from Long Island. Worth having on the team for his spectacular mask alone. This guy was a well-known name in the O6 era, skating on line with the likes of Andy Bathgate and Gordie Howe. A quality two-way, complimentary scorer that did a lot of dirty work and could do everything quite well. Obviously, the Penguins got him well past his prime but he did lead all forwards in ice time in 1970 and was an All Star on merit that season. In 1970 (a team that was 2nd in the West), he led the team in goals by 30% and points by over 13% (26+25=51). He received Lady Byng consideration that season as well. The kicker - that I didn't even realize at the time - he was tied for 7th in All-Star Voting at LW at the age of 37! He was tied for 2nd on the team in playoff points as well that season (7, to the leader's 8). Further, he was t-7th in goals that year among expansion teams (t-26th overall). His second season with us, he tied for the club lead in goals (21) and was 6th in points (38) in 69 games. That was only 10 points shy of the club lead and he missed 9 games. His two-year value might even rival that of my current second line left winger Greg Polis, I'll have to investigate further.